Recently I have noticed how my perceived identity has been hampering my desire to write and comment on social media. When I was at school English was something I was neither good at, nor enjoyed. I created an identity for myself of being “The Numerate Scientific One” who needed to leave the writing to “The Wordsmiths”. Roll forward several years, and I realised that I still hold this identity and with it how could I possibly write and if I did, who would read it or understand what I had to say?! If our identity and activity are aligned, then achieving tasks is relatively simple. Conversely, if the activity is not considered appropriate for someone with that identity then we may either avoid or resist the activity, or use up a lot of willpower to do it. Having tweaked my personal identity I wrote my first article – bingo! – a desire to write had been unleashed. I now turned my attention to other ways that our perceived identity influences us and realised that as well us helping us either do, or not do, the activities needed to achieve success, our identity influences all of our behaviours. 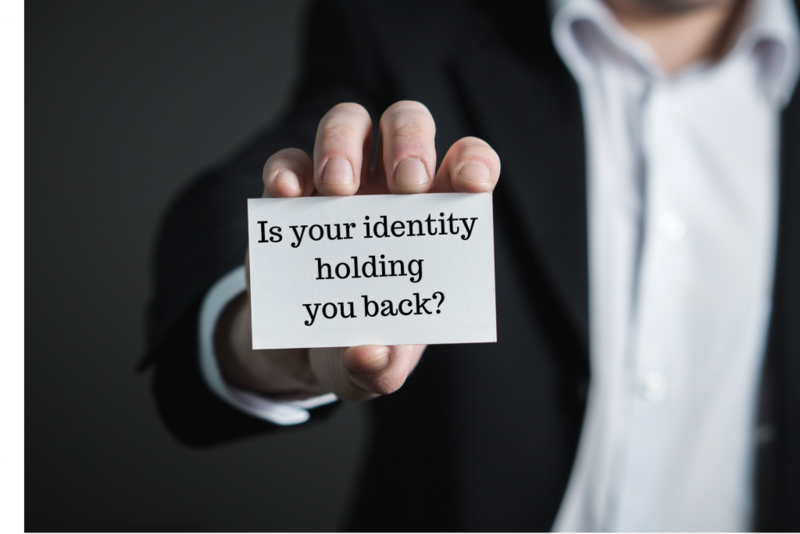 When people have an ‘identity label’, it influences what they do as well as how they do it. Indeed, job titles can have an enormous impact on how people perform and carry out their activities as well as how they show up for interviews and present themselves. It can also influence the behaviour of the people around them and how those people interact with them. “Domestic Engineer in charge of the Next Generation” used to describe a mother! If a “Teacher” was re-titled “Learning Inspirer” might this encourage students to engage more in the learning rather than taking a more passive role of being taught? If a Human Resources Director was re-titled “Head of Happiness” (as is the case at Social Chain) could that shift employees from being thought of, and performing, as merely a resource to showing up with the intention of enjoying their work which has found to be linked to improved performance? If a “Manager” was re-titled “Facilitator” could that create a shift from delegation that is too directive to allowing autonomy, which is crucial for engagement, intrinsic motivation and personal growth? How motivating are the titles? What sort of behaviours are the titles encouraging? Are the job titles consistent with the defined ‘Vision’ and ‘Values’ for your business? What goals would like to achieve? What activities would you like to help others to do better? How can you use the power in identity to help?